Even frustrated gardeners with “black” thumbs can grow succulents. Succulents are easy to care for plants that need little water. Take the Graptoveria porcelain plant, for instance. 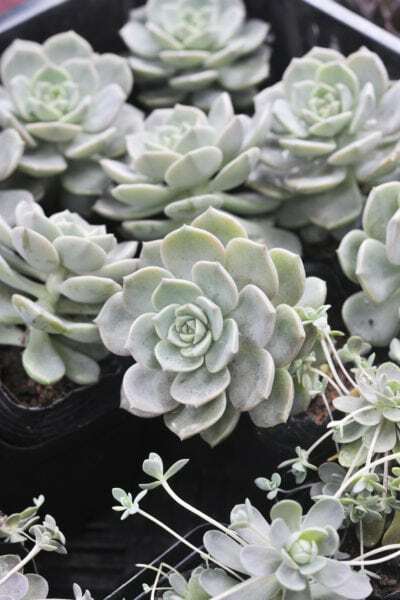 Porcelain plant succulents are small plants ideal for use in a succulent garden. Interested in learning about growing Graptoveria plants? Read on to learn how to grow a Graptoveria and about porcelain plant care. Graptoveria titubans porcelain plants are hybrid crosses between Graptopetalum paraguayense and Echeveria derenbergii. They have thick, fleshy, grey-blue leaves that form into compact rosettes. In cooler climates, the tips of the leaves develop a tinge of apricot. These little beauties only grow to about 8 inches (20 cm.) in height with rosettes that are up to 3 inches (7.5 cm.) across. Their diminutive size makes them ideal in combination succulent garden containers indoors or in a rockery outside. 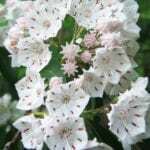 They easily multiply, rapidly creating a dense carpet which becomes a swath of yellow blossoms in the spring. Porcelain plants can be grown outdoors in USDA zones 10a to 11b. 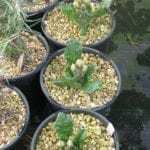 It can be grown outdoors in these mild climates year round, outside during the warmer months in temperate climates and indoors for cooler climes. Graptoveria plant growing has the same requirements as other succulents. That is, it requires gritty porous soil that is well draining and sun to mostly sun exposure. Allow porcelain plants to dry out between waterings during the growing season. Too much water invites rot as well as insect pests. Water the plants sparingly during the winter. Fertilize once during the growing season with a balanced plant food diluted to 25% the recommended amount. Graptoveria plants are easy to propagate via seed, leaf cutting or offsets. Each rosette or leaf that breaks off will easily become a new plant. Read more articles about Graptoveria.